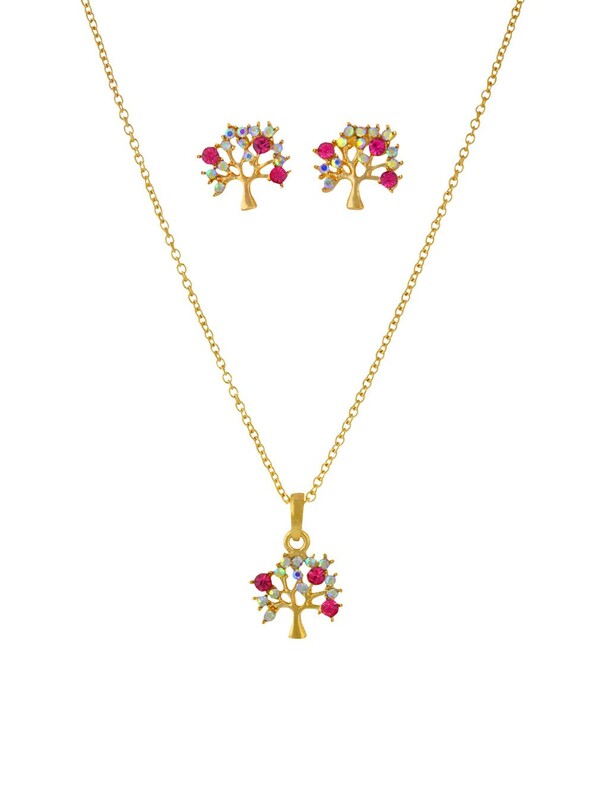 This lovely pendant and stud earring set features miniature tree charms encrusted with multi-colour rhinestones. A rich and constant reminder of the beauty of nature. © 2015 - 2019 The Opal. All Rights Reserved.